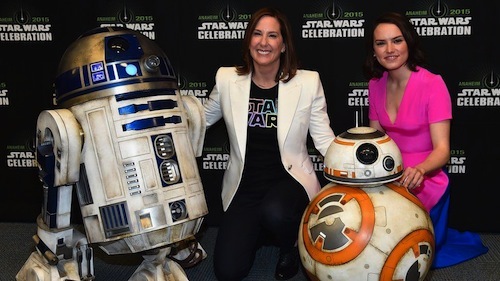 Kathleen Kennedy, president of Lucasfilm and Star Wars: The Force Awakens producer, talked to Fortune Magazine about her ambition for a female director to helm a Star Wars movie at Disney. "It is going to happen. "We will hire a woman who is going to direct a Star Wars movie." Up to now the Star Wars film franchise has been directed by males. However, I've long hoped the likes of Kathryn Bigelow (Zero Dark Thirty) and Sofia Coppola (Lost in Translation) maybe enticed to direct. There's a shift at Lucasfilm. Kennedy explains: "Fifty percent of the executive team [at Lucasfilm] are women. "Six out of eight of the people in my story group are women... I think it's making a huge difference to the stories we're writing. 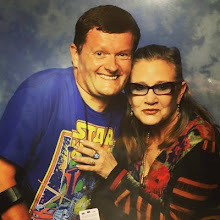 "I'm sure there are a lot of people who would be surprised that we're making Star Wars movies and the majority of the people involved in the development of those stories are women." She's acutely aware that the majority of creatives interested in working on Star Wars are male and goes on to contextualise the commitment to a female director. 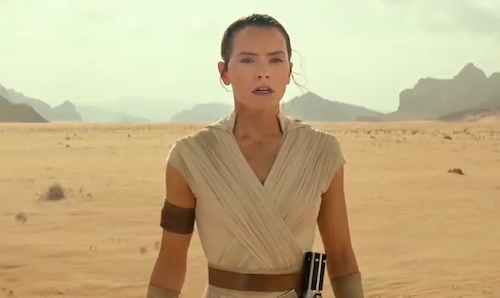 "If we do want to bring a woman in to direct a Star Wars movie, we want to make sure that it's somebody who is passionate and really wants to do a Star Wars movie. We don't want to talk somebody into it." Where's Luke Skywalker in The Force Awakens?